By definition, a sole proprietorship is one where there is no distinction between the business and the owner. Unlike other business structures, a sole proprietorship by definition means all of the assets, debts and taxes are the responsibility of the owner. A sole proprietor may use their own personal name for their business or they may use a fictitious name. For example, the business could be "John Smith" or it may be "John Smith D/B/A Smith Internet Enterprises." Either choice is acceptable, however, in most cases a fictitious name is used to define the business venture more clearly. In the above mentioned case for example, a more suitable name may be "John Smith D/B/A Smith Internet Marketing" which defines the business as a marketing venture. The name of the business however, has little to do with the taxation of a business. In some cases, however, the name of the business may determine if the sole proprietor wishes to obtain a tax identification number for tax filing purposes. Even if the proprietor does file for a tax ID number, they are not required to report income under this number, it may be used for applying for business credit, maintaining a business bank account or for other purposes. Income from a sole proprietorship would still be claimed on personal income taxes. Whether you have an existing business or you are considering starting your own business, sound tax advice is a good idea. 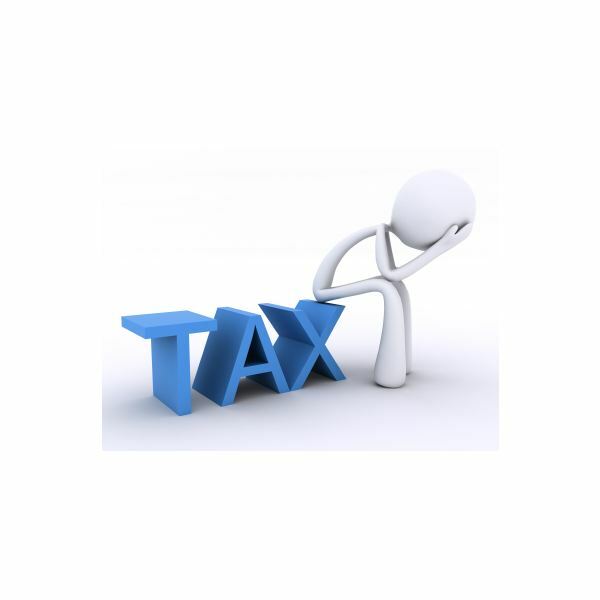 Make sure you understand your basic responsibilities to taxing authorities and keep yourself from getting surprised down the line with unpleasant taxes and penalties that could cost you big money. It is never a good idea to ignore the tax ramifications of being self employed, it could come back later and cause you untold misery. Sole proprietors often are not aware of how crucial it is to record their business income and expenses. Regardless of whether you have made one sale or accepted a single contract, you should be aware of how to properly track your income and expenses. Do not lose out on crucial deductions or discover that your income is under-reported! Instead, take advantage of these great tips that can help you get on track from day one. Internet Pursuits – I'm a Freelancer, Not a Business! Too frequently, people sign up for money-making sites as a secondary source of income. Some undertake freelance writing, others take up web design or book jacket designs and still others set up a website or blog to share information with others. In many cases, people are taking advantage of a hobby that just so happens to generate a few dollars. What many people don't know is that once you earn $400 you are considered a business! This comes with numerous responsibilities, and requires you to claim income on your taxes. I Am a Hobbiest – What Tax Deductions Am I Eligible For? into this category, there are tax deductions that can be taken. However, make sure that your business is a business and not still classified as a hobby! Your deductions can be used to lower your tax liability but can't be used to create a loss to stay classified as a hobby! Pursuing Deductions – What Business Expenses Can I Deduct? Whether you run your sole proprietorship from your home or you maintain a separate office, there are numerous deductions you may qualify for. Unfortunately, many small business owners overlook common deductions simply because they are not aware of them. Mileage, necessary subscriptions and medical insurance are a few of the deductions you may be entitled to take. Do not miss these valuable tax breaks that can help reduce your tax burden. I Sell Products – Am I Obligated to Deal With Sales Taxes? At a minimum, if you sell products online, you are required to collect sales tax on items sold to other people in the same state where you run your business. The exception to that is if you live in one of the few states that do not impose a sales tax. It is worth noting that recently, there have been some changes in some states where companies that have affiliates in those states must collect taxes. (1) Make sure you find out about sales tax laws as they apply to your business and that you verify what your obligations are to pay those taxes. Do I Use My Social Security Number or Apply For a Tax ID Number? A sole proprietor may still file their taxes on a Form 1040 (personal tax form). However, there may some benefits to using an EIN (employer identification number). Not only does the use of a Tax ID number clearly separate personal and business accounts, it may also help in obtaining financing. Most banks will allow a sole proprietor to open checking accounts using their Social Security number. 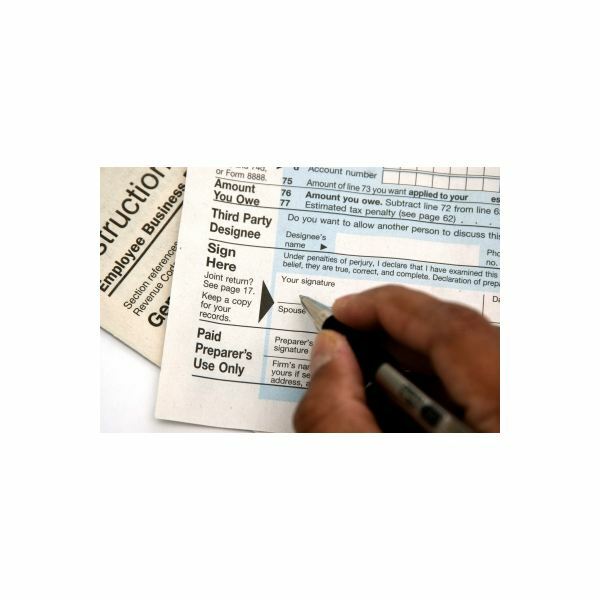 Obtaining a Tax ID number is still something worth considering. Buried in Paper: What Do I Have to Prove to Take Deductions? While it is possible to claim several deductions on your tax returns as a sole proprietor, you have to make sure that you follow the rules and that you save your receipts and keep track of expenses. Many times a sole proprietor will hire freelancers, subscribe to magazines or online services necessary for their business or entertain clients. While many of these will be deductible, without the backup that is needed, you could lose out these valuable deductions. When Are Quarterly Tax Returns Necessary? Sole proprietors who are finding a measure of success in their business may be obligated to file quarterly tax returns versus annual tax returns. For those who are uncertain about which is more appropriate, this article looks into the reasons for quarterly filings as well as the process that must be followed. Remember, if you are required to file on a quarterly basis and do not, you may be subject to penalties which could increase the amount owed to the Internal Revenue Service. complying with the laws regarding which taxes you are responsible for. In addition to the taxes that are due on your income, you will also be required to pay toward Social Security and Medicare. 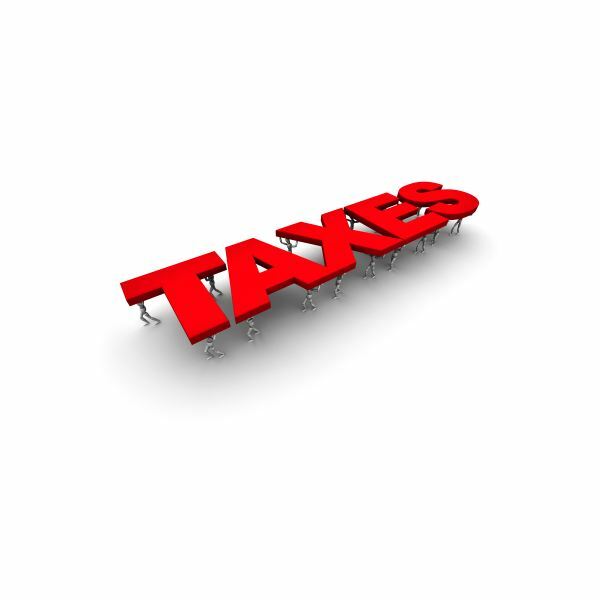 Not all sole proprietors realize they are required to pay these additional taxes. Calculations are done based on information that is provided on your tax returns; even those who have not shown a profit may benefit by claiming self-employment taxes so make sure you are not shorting yourself and your future security. Many sole proprietors believe they can simply take their 1099 forms and include the income and deductions on their standard tax form. Not so fast! In fact, the Internal Revenue Service requires that sole proprietors include special forms for claiming self-employed income and tax deductions. A Schedule SE must be filed with your 1040 and is used to show the net income from a sole proprietorship. When your business owns a patent, it is important that you understand that the income earned from royalties must be claimed on your taxes. While many believe that a patent can only be held by a corporation, this is not necessarily true. There are sole proprietors who may own patents and must be aware of their impact on their tax status. Business Structure: How Do Business Structures Impact Taxes? Sole proprietors may wonder if it is beneficial to alter their corporate structure from a DBA or an S Corporation or move into a C Corporation. For most sole proprietors, this is not a good idea. Sole proprietors may earn money and claim the earnings on their annual 1040. Sole proprietors who are considering alternative corporate structures should make sure they understand the tax ramifications before making any changes. Do I Need A Tax Preparer or Can I File My Own? 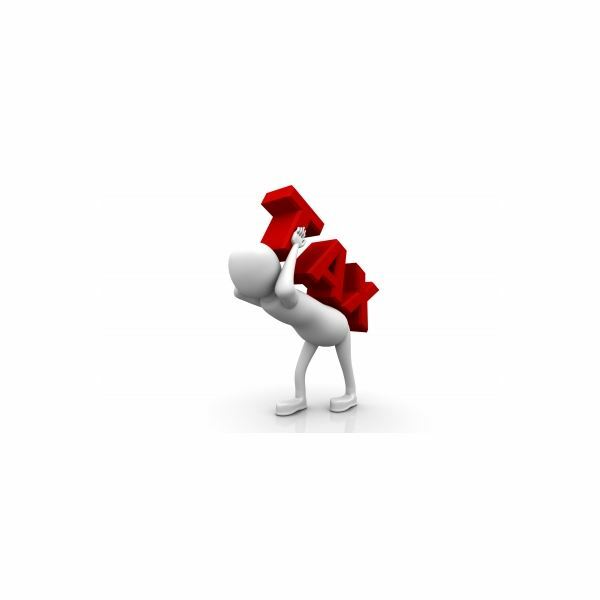 Sole proprietors are often overwhelmed by the idea of filing taxes. For most sole proprietors that have been filing their own taxes, they will be able to continue to do so on their own. If not, there are many sources of free help available that can help ease the transition from an employee filing taxes to a sole proprietor filing taxes. Don't get overwhelmed, reach out for assistance if you think you need it; start with these free sources! Have a question on sole proprietorships and how they're taxed not answered in our guide? If so, feel free to drop us a comment and we'll be happy to research the answer you seek!